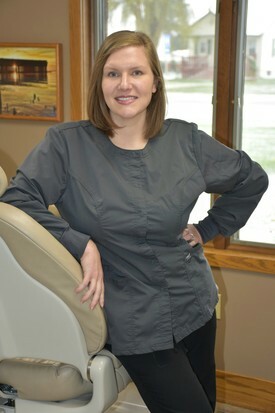 Julie is a Registered Dental Assistant and earned her degree from Delta College in 2006. Once graduated she immediately joined Dr. Bill's practice. Julie strives to build relationships with her patients and finds their trust very important and rewarding. When Julie is not at the office she enjoys spending time with her husband and their 1 year old daughter. 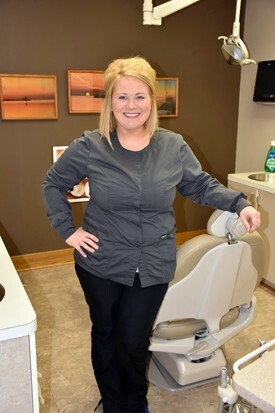 Meg graduated in 2013 from Ferris State University with her associates in Dental Hygiene and where she was also the recipient of the Hu-Friedy Golden Scaler Award. Meg has been with Dr. Bill's practice since 2015. 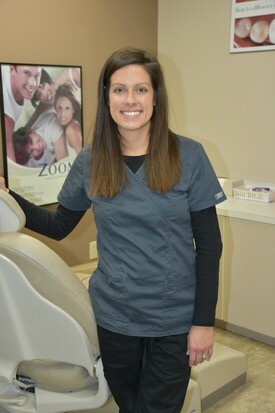 One of Meg's favorite aspects of dental hygiene is the individual interaction she has with patients. This has allowed her to demonstrate good listening skills along with problem solving techniques on a daily basis. When Meg's not fighting gum disease she's spending time with her hubby, Tom and their twin boys Bo and Rory. She enjoys a nice wine, singing and laughing. Tiffany was born and raised in Bad Axe. She graduated from Baker College of Port Huron with her Dental Hygiene Degree in 2014. Tiffany has been working with Dr. Bills since she graduated. She enjoys getting to know all of her patients individually and making them feel comfortable in the dental office. Tiffany is raising two young children with her husband Justin. She enjoys cooking, traveling and making memories as a family.